We are a team of 25 experienced cleaning professionals dedicated to creating a clean home and work environment for you, your family, and your employees. 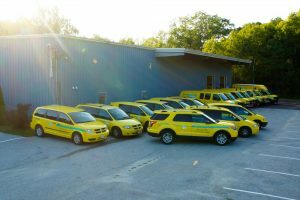 Based in Auburn, Maine and Falmouth, Maine, ServiceMaster can be on-site 24 hours a day in an emergency – from Scarborough to Sugarloaf, Waterville to Windham, Brunswick to Bethel. Our carpet cleaning technicians are IICRC certified. We provide commercial and residential carpet cleaning services as well as VCT stripping and waxing, commercial cleaning and post construction cleaning. We also provide kitchen exhaust hood cleaning, vent and duct cleaning, trauma and bio-hazard clean-up, virtually any non-janitorial cleaning for your commercial facility. We have been in business since 1988. We pride ourselves on our customer service, quality of work, and integrity. With state-of-the-art equipment and cleaning techniques, we can make your cleaning problems disappear. 24/7 emergency service to the Portland, Lewiston-Auburn, Augusta, Waterville, Oxford, Bethel, and Rumford areas. We handle water damage, fires, soot, smoke, mold, and sewage cleaning. Call 24/7 for emergencies dealing with damage caused by water, fire, mold, and speak to a live person. See ServiceMaster Maine locations at www.smfireandwater.com for more information on our disaster restoration services. For any questions about service, inquiries, or feedback please contact us at service@smfireandwater.com.